Agripolis sets and runs urban farms dedicated to production vegetables, fruits and flowers with a highly productive technique. Products are delivered on site to clients like companies or supermarkets. Algama is tackling the global food challenge by offering healthy, tasty and sustainable food, harnessing the unique potential of microalgae. 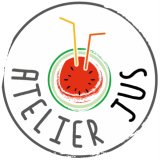 Atelier Jus is the first organic cold pressed juice producer based in Paris whose approach is entirely environmentally friendly. Our organic fruits and vegetables are processed using the cold press technique and our biodegradable bottles are made from vegetable matter. Then, our production residue is recycled for permaculture and soil mulching in urban areas, creating a zero waste circuit. Aeromate is an urban agriculture start-up based in Paris and created in 2017 by three ingeneers. Aeromate cultivates aromatics, edible flowers and micro-greens in the city center. The plants are collected on order and immediately delivered to preserve freshness and taste. 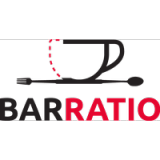 Barratio is the link between your POS and your accountant. Our promise: Complete your administrative tasks, with a snapshot! From purchases to controls, everything is fully automated, so you can make the right decisions at the right time! BimBimGo: your everyday lunch or dinner cooked by a French Chef and delivered in less than 10min! CitizenFarm offers a credible alternative to the current food model. We use aquaponics to produce in a healthy, local and impacting way. To do so, we create urban and pedagogical. “Clear” stands for ‘transparent’ and “Karma” for ‘responsible action’. Clear Karma is an interactive food label for restaurants: Food allergies? 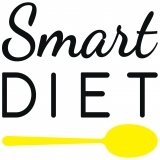 Special diet needs (vegetarian, diabetes, Kosher…)? Enjoy eating out and make safer food choices! 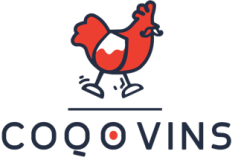 Coqovins is a virtual private sommelier that allows users to find a wine considering its own tastes and consumption context. Datagram uses advanced technologies to extract and process raw data from across the web and turn it into valuable information. Brands can drive their e-commerce strategy by optimizing their positioning, the conformity of their content and compliance with their pricing policy. Digifood is a web and mobile app that creates a new sales channel for all restaurant owners in high-traffic locations such as stadiums. A temp worker for tonight? A recruitment for tomorrow? Extracadabra is the HR one-stop shop for restaurants & hotels : find in 3 minutes the perfect waiter, bartender, cook etc.. Moreover, we can manage the administrative work for you! Far is a free app that helps people to find compatible products with their diet while doing groceries.Far recognizes and shows instantly on the screen which products fit the user's diet through Augmented Reality. After having completed his profile in the app, a user just needs to use his smartphone to look at any product in the store instead of reading each notice. FoodMeUp is the first SaaS tool that allows professionals in the restoration business to manage their sourcing, production and supply. 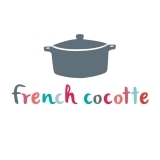 French Cocotte offers cooking course kits to learn how to cook healthy at home. Each kit, designed around a seasonable topic, contains 3 surprising ingrédients + 1 hand tool + 1 recipes and nutrition book, allowing easy cooking progress. GoodMix is a turnkey personalized health prevention digital platform at the service of well-being. 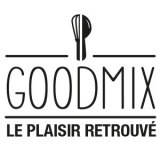 Starting from the individual nutritional and sports constraints, GoodMix recommends adapted and varied recipes, advice on nutrition and physical activity, follow-up and workshops. Gula is the first delivery service for Healthy Snacks in Continental Europe. Each month we deliver to our customers a hand-picked selection of snacks composed of nuts, seeds and dried fruits based on their needs and tastes ! Innovorder reinvents the way restaurants do business. We help restaurants to increase their sales, enhance their customers’ experience and monitor their activity by broading the use of control & management tools to every restaurant owners (which was only affordable to large catering chains so far). 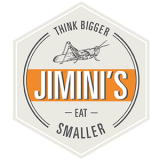 JIMINI’s is born with a main idea: introduce insects into Europeans’ plates. They have diferent ranges of edible insect based products. Whole insects ready-to-eat for the appetizer, energy bars made with dried fruits, cricket flour and almonds, but also insect pastas and granola. LasTable is a mobile app which allows:- Our community of restaurants to increase their table turnover rate by publishing offers until the very last minute!- Our users to find last-minute deals in high-quality restaurants!Our app is already available in Bordeaux and central Paris. The Food Market is the first market-canteen in the streets of Paris. Twice a month, it brings together around twenty restaurateurs who share the love of good food and offer specialties for less than 10 €, made with fresh products, to be enjoyed together on large tables. We are the very first caterer to employ refugee cooks. Discover our cocktails, buffets and lunch boxes from Syria, Iran, Chechenia, Nepal and Ethiopia and travel through our cuisines. Order from us for events up to 1000 people and impress your guests with an offer 100% new, 100% authentic. 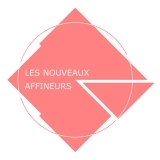 Les Nouveaux Affineurs are taking vegan cheesemaking to the next level!We solve the “ Plants + Science = Cheese ” equation to produce gourmet food with a dramatically reduced environmental footprint.Available soon at traditional cheesemongers' and fine-dining restaurants. NGMODT is a takeaway brand that promotes the employment of people over 50 years. We bring up to date dishes as well as our grandmothers did and we sell them in areas of strong flows. PHENIX helps professionals reducing waste by raising the potential of their waste. PEHNIX weaves circular economies around its clients thanks to innovative digital applications and 24h/7d operational support. Grow your own food at home with Prêt à Pousser mushrooms kits and smart gardens. 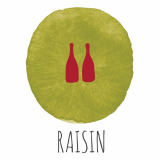 Raisin is the only app dedicated to natural wine allowing you to share, find and enjoy natural wine, anywhere! It connects natural wine lovers with over 580 winemakers, showcases more than 20,000 wines and recommends over 2,500 places (bars, shops, restaurants) throughout the world. Snack and Co is the first concept of smart automated restoration in the French market. Restoration: provide complete and balanced meals with hot dishes. Automated: autonomous space 24h / 7days, Automatisé : espace autonome 24h/7jrs. Intelligent: connected automatic vending, real time monitoring and user tracking. Snapshift is a Saas HR solution for the restaurant and hospitality industries : online scheduling, attendance tracking, payroll preparation and time-offs management are automated and interlinked, saving time and money. 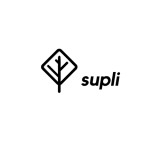 Supli is the first platform that modernizes and simplifies the sale, preparation and delivery of food products from catering suppliers.We enable them to manage their customers, catalogs and orders on a single platformOur goal is to save time, money of food distributors: within a few minutes they make their products available online for their customers and can sell them safely to new partners. It's intuitive and professional. Tiptoque was born based on the finding that the current catering proposition for corporate lunchs and events is unacceptable and expensive whereas restaurants are creative, working with local products and have a savoir-faire.Following this finding, we help bistronomic chefs to become the best caterers on the market in order to provide to corporate customers the best offer.To make this possible, we provide to the chefs, a packaging, a delivery logistic and customer care.So now, there are no excuses to eat low quality and expensive food during corporate lunchs and events. 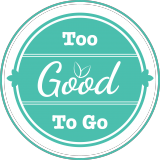 Too Good To Go fight foodwaste by connecting food handlers and app users to collect their food surplus at the end of the day. The shops do not throw away and get new customers and the users enjoy cheap and good food while saving the environment. Zelty is a suite of connected solutions that allows independent restaurateurs and franchise networks to digitize their points of sale from order taking to production and management.